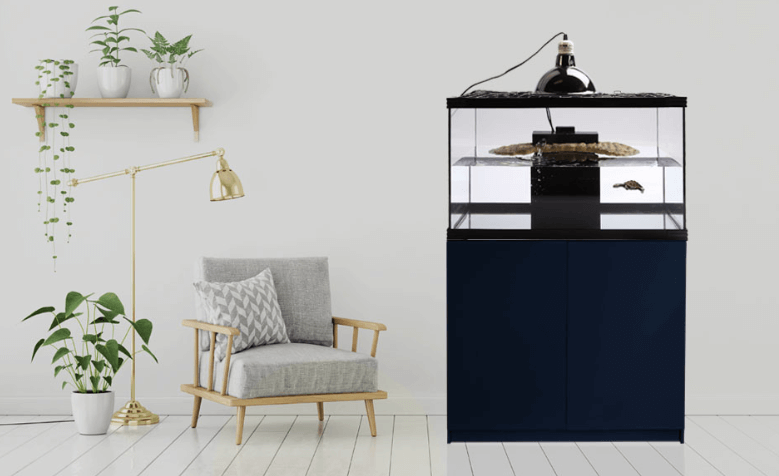 Reptile One’s Turtle Eco turtle tanks are the perfect home for your pet turtles. These tanks include a wire mesh lid which allows the use of UV producing fluorescent lighting while keeping the enclosure secure. The Turtle Eco also features a back filter system with included sponge and ceramic noodles which will keep this turtle tank extremely clean. Included is a glass heater to maintain ideal temperature for your turtle and a fixed floating landing dock for your turtle to bask on. This turtle tank is available in 60cm, 90cm and 120cm and has matching Black Cabinets at an additional cost. Back filter system with included sponge and ceramic noodles.